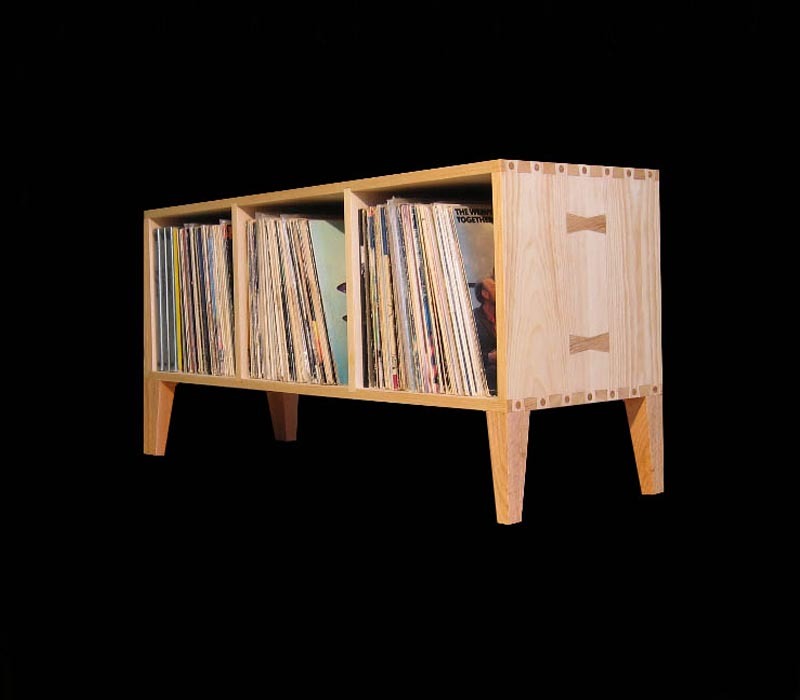 This is our Deluxe Horizontal Record Album Storage Unit. 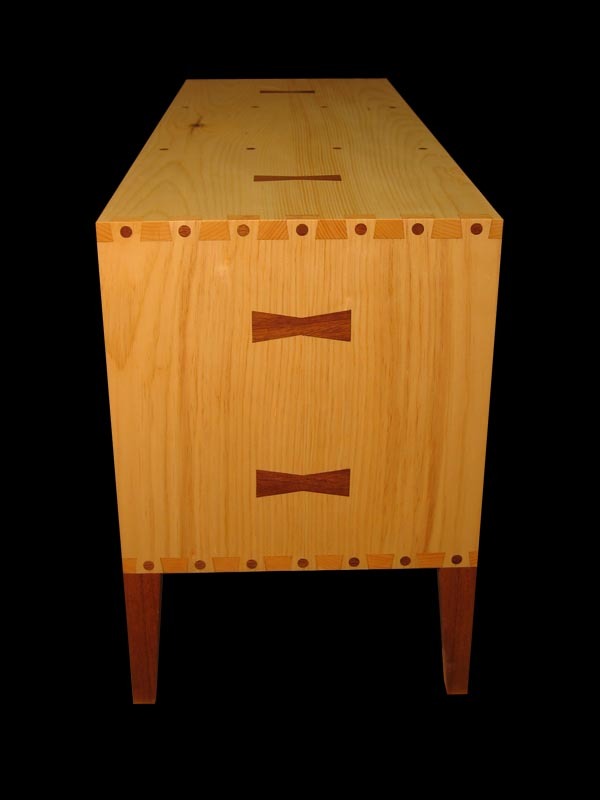 Hand-made of the finest hard woods joined with hand cut dovetail joinery. Each unit will hold approximately 255LPs, or 85 per cubicle. 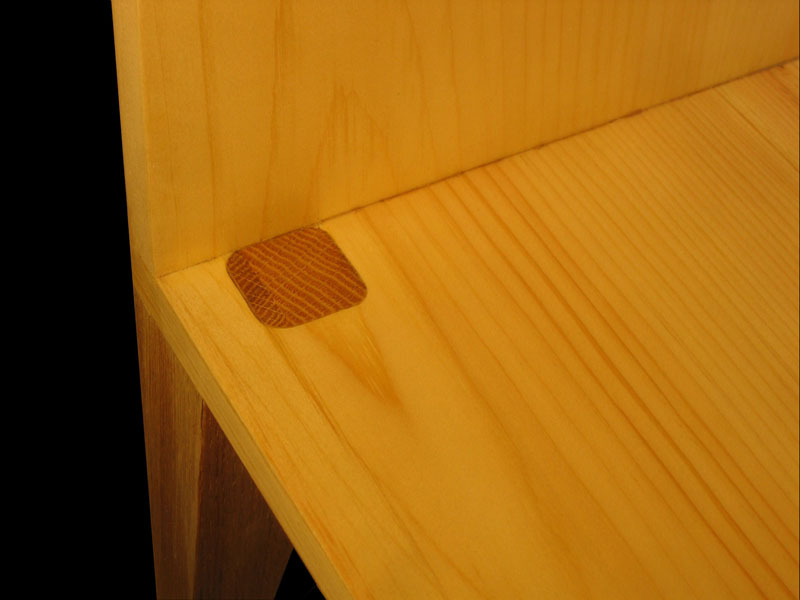 Legs and joinery details may be made of the same or contrasting woods. Wood choices are cherry, mahogany maple, oak, or yellow pine. This piece provides a functional and visually interesting way to store your prized collection. Single record album storage "Cubes"
Copyright ©2013 -2018 Stan Pike Designs. These units are all handmade, each and every one, using the finest woods and construction methods possible. 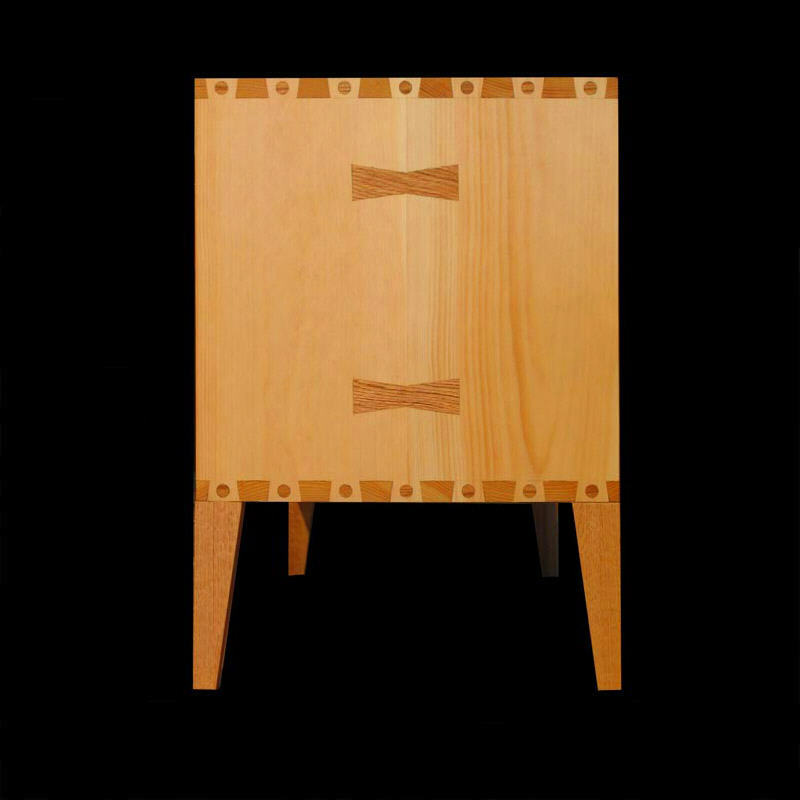 Every piece utilizes dozens of tight fitting hand made dovetail joints providing strength and an extra measure of beauty. All surfaces are very finely sanded inside and out. The outside surfaces are finished with several coats of hand rubbed Danish oil. Inside surfaces are also very finely sanded but left unfinished for better archival protection of your special vinyl collection. Standard version $549 plus shipping. Packing and Shipping by FedEx Ground will usually range between $135 - $145. Available in most hard woods for $849. A 6.25% sales tax is applicable in the State of Massachusetts. Each item is shipped individually by UPS or FedEx Ground. Call or e-mail for shipping quote. Copyright ©2013 - 2018 Stan Pike Designs.